Planmeca ProMax imaging system to capture the finest anatomical details with accuracy and transparency – including ability to see difficult treatment areas. This provides you with the most through diagnosis and treatment plan, while minimizing the amount of X-rays you need to take. Our practice is committed delivering the finest in oral care and working to maintain your healthy smile. of the past with the iTero Digital system! For patients who are candidates for Invisalign aligners, an accurate impression is essential for effective treatment planning and orthodontic care. The accuracy and detail of the iTero scan vs a putty impression is comparable to watching HDTV over standard definition TV. The iOC Scanner captures the contours of tooth and gingival structures, producing an accurate digital orthodontic scan in minutes. This non-evasive procedure is ideal for patients undergoing treatment with Invisalign and clear aligners. No unpleasant putty material traditionally associated with taking impressions. The iTero handheld wand takes a digital, 3D image of your prepared teeth, stopping as needed. The wand is non-evasive and you can breathe and swallow as needed during the procedure. If you need to move or adjust, you can do so – the accuracy of the handheld wand is first-rate. Needing to “re-do” impressions is rare. Plus, you can look at the iTero 3D image on the screen in real-time as the orthodontist moves the wand! 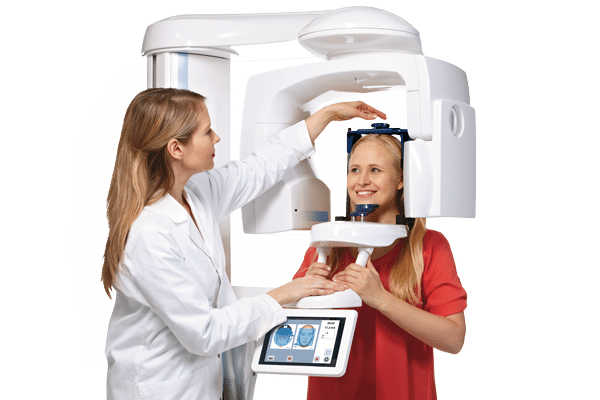 Instead of shipping impressions to the lab to be scanned, the digital image of your teeth is sent electronically to the lab and is available in the Invisalign Clincheck system the very next day. This 3D model of your mouth can be used with all Invisalign services – included the Invisalign Outcome Simulator, which shows what your new smile might look like after treatment is completed. *Eliminates Putty Impressions – the most invasive procedure in daily orthodontic care. No more goopy, unpleasant aftertaste of traditional impressions. An increase in your comfort! *Superior Accuracy – with no distortion from patient movement during set, removal of impression, or disinfection. *Onscreen Visualization – allows for immediate adjustment to create the ideal orthodontic scan the first time. 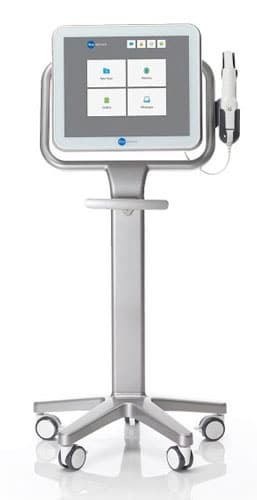 The iTero image appears on the screen as the orthodontist scans your mouth in real time!